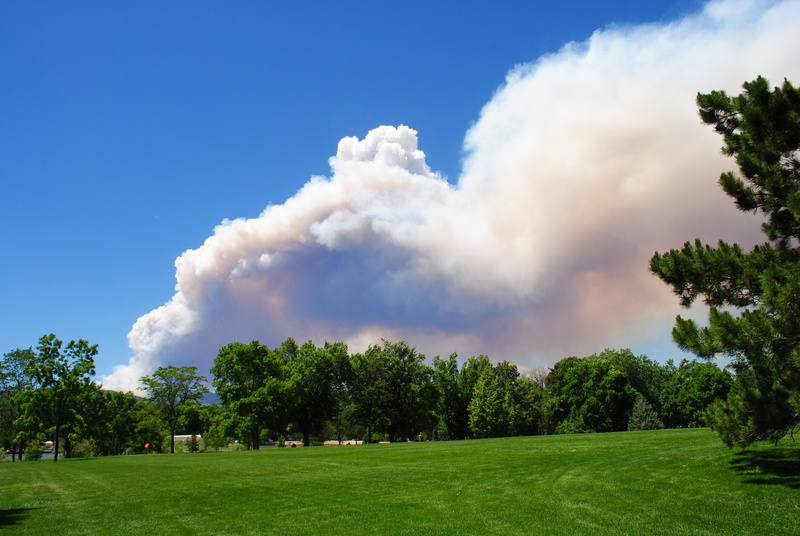 Our beautiful summer skies have been filled with smoke and ash the past 2 days as the High Park Wildfire just west of Fort Collins grows. Watching the expanse of the fire grow from a small plume to the large cloud of smoke encasing our town has been eerily surreal and puts my stomach in knots knowing that homes are being consumed and our precious foothills are being scarred terribly by mother nature’s flames. Today I was planning on sharing photos from a recent camping trip up at the local reservoir, an area that now, one week later, has been threatened by heavy wind carrying the fire south, forcing an immediate evacuation of the area’s residents and visitors yesterday afternoon. Sunday at work several friends and costumers came in after being evacuated from their homes, emotions tight and confused by the absolute quickness with which the fire moved. From feeling safe at home, to smoke filled rooms minutes later, flowed by Sheriff’s knocks and 10 minutes to say good-bye to almost everything they called home. Pets and loved ones and a few photo albums packed up, driving away as flames exploded on nearby hillsides. Others shared stories of witnessing the fleeing of wildlife, in herds running away from the encroaching fire, towards Fort Collins, fearful in flight mode. Some barely made it out, as evacuations higher in the canyon came too close for comfort. A co-worker’s girlfriend watched as fire ignited a case of propane tanks, driving away just as the explosion fueled the flames near her home. All these people are in safe places now, with loved ones in town and close friends, so I am thankful for officials’ efforts in evacuating threatened neighborhoods as quickly as possible, because it seems that with this fire every second counts. Today I just wanted to send my thoughts out to all those displaced and leaving their homes behind, victim to the ferociousness and unpredictability of this fire. I hope for the safety of all putting such brave efforts into fighting this fire both on the ground and in the air, I can’t begin to imagine the terrain and conditions that have to be tackled while facing these flames. 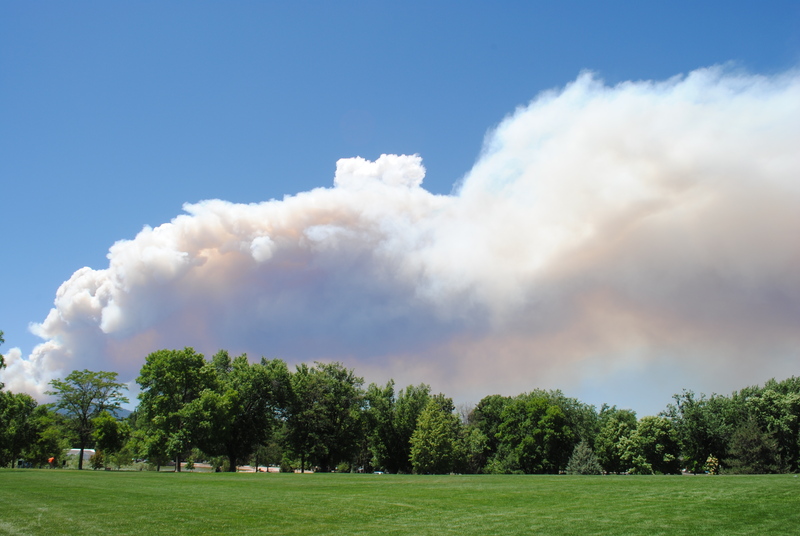 I have faith that the Fort Collin’s community and government will continue to step up and offer every resources we have available while facing one of the worst wildfires this area of Northern Colorado has seen in years. More information on the fire can be read here or and update will be posted here. oh wow, very intense. fire has that way about it. thanks for sharing these photos. I am down in the SW corner of the state and I can say it hasn’t been this dry since 2002, a summer that I spent firefighting for the USFS and the NPS. We don’t have any fires down here yet but the first lightning that rolls through is going to cause plenty of problems…and there is no rain in sight. Sending best wishes to the people affected by the fires. I’m in Fort Collins, too. (Just found your blog, thanks to Freshly Pressed!) 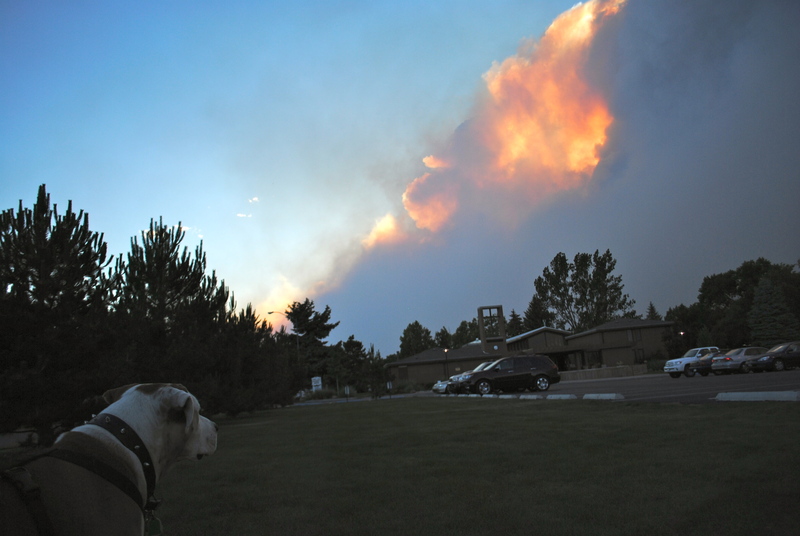 This fire is so devastating and my heart goes out to those who have lost their homes and pets. I’ve lived here my whole life and I can’t remember ever having a fire this close. It’s incredibly sad, but the support and efforts by our community has been wonderful. Thanks for sharing your story. It is all too common in the west now, and reminds us all to be prepared and get involved locally to mitigate where possible. Good luck. Looks terrifying. 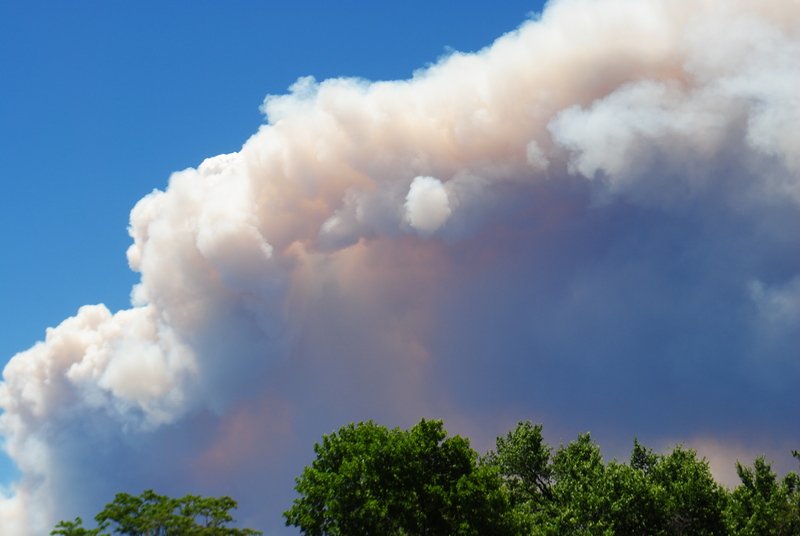 Every summer I dread the reports of wildfires; I hope it’s contained quickly! I live in Niwot just south of you and my son is in Greeley. We were choking down the smoke yesterday. I just posted a photo essay yesterday of a hike up in Breckenridge showing the beetle devastation and new growth. But we flew out of the forest when the winds picked for fear of falling trees. It is tinder dry throughout the state. I am praying the fire fighters can contain more of the fire today. Great photo essay. Congrats on being Freshly Pressed! 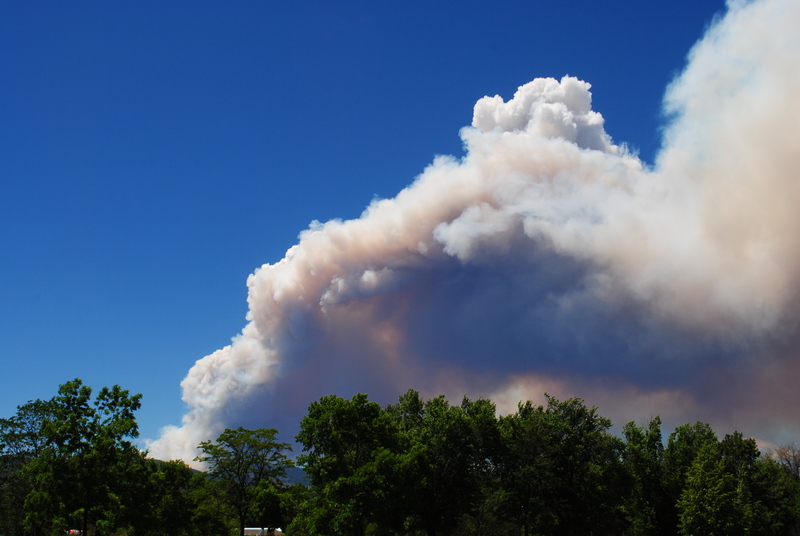 Here in New Mexico, fires are encroaching all around, and smoky skies have been a huge problem. Hope you are not too close to the fire yourself. Keep safe. How awful. Good luck to you, your neighbors and the firefighters. gosh dang! 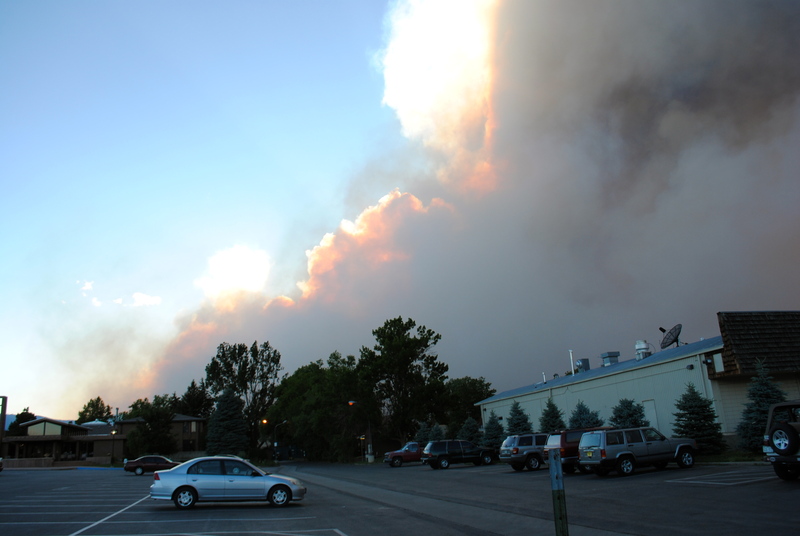 and to think i “fought” forest fires during summers while a student at CSU (back in ‘prehistorick’ times — 1975 – 1977). you live in or near Ft. C? I hear on the news (this a.m.) that the reach is (gulp …) horsetooth over to Pingree!?? hard to fathom. keep up the reports! 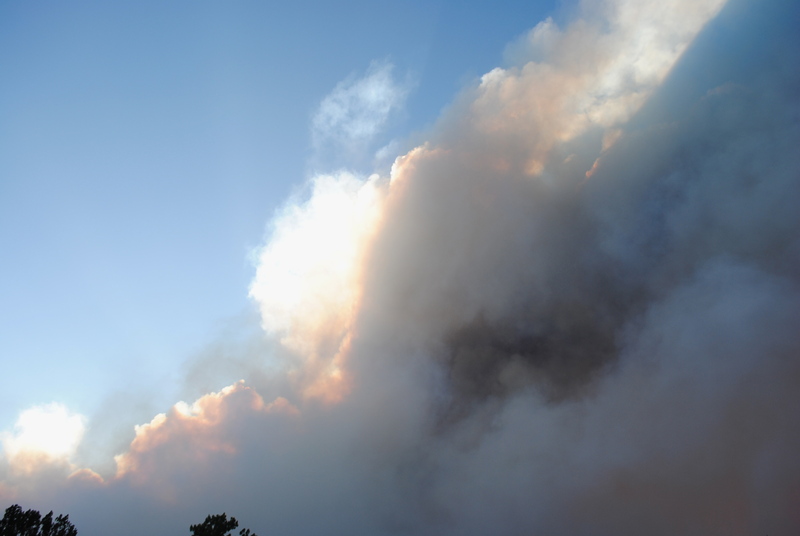 I grew up in California, so I’m used to my share of wildfires, and know how scary it can be. 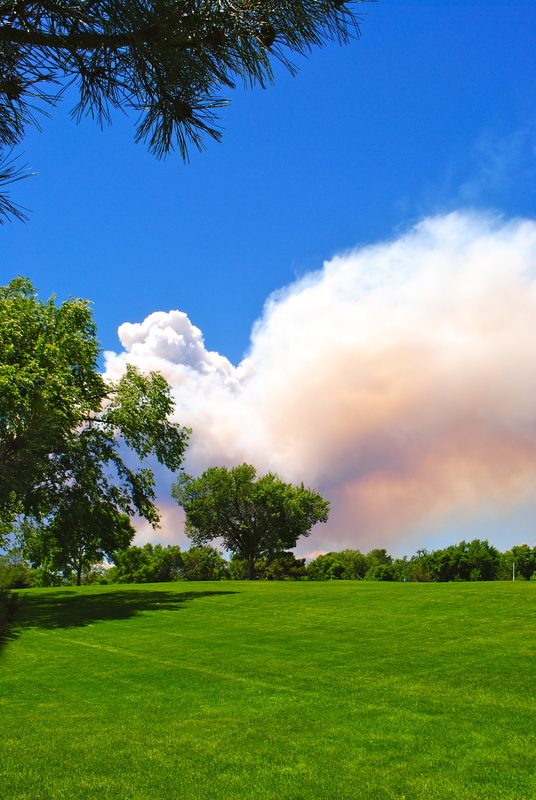 Here’s hoping that you and your family continue to stay safe, and that they can get the fire under control soon! Hang in there. We have had two fires cross our land. Communities really come together in these instances. You are in our prayers. I used to live in Fort Collins years ago. it’s eerie looking at your photos. Thanks for sharing. I hope all your friends are safe. Praying for everyone’s safety, both affected and involved. We saw the fire this last weekend driving. My husband and a crew from Wyoming just left yesterday to help out in the efforts to contain the fire. Thanks for the update and information as I have been trying to follow up on it! All the thanks and appreciation for your husband! and to all the firefighters who have been putting in long hot hours to keep this fire at bay. And thank you for your read. Powerful photos, but a terrible situation. Congrats on being freshly pressed. Whoa! Crazy scary shots. I hope they get it put out soon…and that the weather cooperates. Oh, my! I pray for your safety and the safety of your community. You’re air-help in the way of Elvis was invaluable over here in Australia. We were affected by fires and came very close once. Take Care! So beautiful, yet so tragic. Your post is so interesting and informative. The pictures convey beauty and pain, such is nature. Nice Blog, cheers! ABSOLUTELY FANTASTIC CLOUD PICTURES!!!!! Can you imagine what a glory it would be to fly beside, through, below and above these beauties. !!!!! Stupid is stupid – a fire is no joke. Sorry, I do love the pictures but it would have been better if I had read the story more closely. Mother Nature is truly a powerful force and not always do we understand the reason for many of the things she does but I do believe there is a reason. Of course, there was death during this raging inferno but hopefully, not in the human department. Thank you for the pictures! Wow, those photos are impressive and scary. Wonderful post, and my thoughts are with all those who have been displaced or lost their homes. We’ll keep hoping that this fire can be controlled and contained soon to stop even more damage. Thank you for this post, and congratulations on being freshly pressed. We think we know so much and can do so much, but ultimately nature cannot be controlled. Hope you stay safe. Check out this website @ http://www.golfingforamatures.com and tell me what you think. 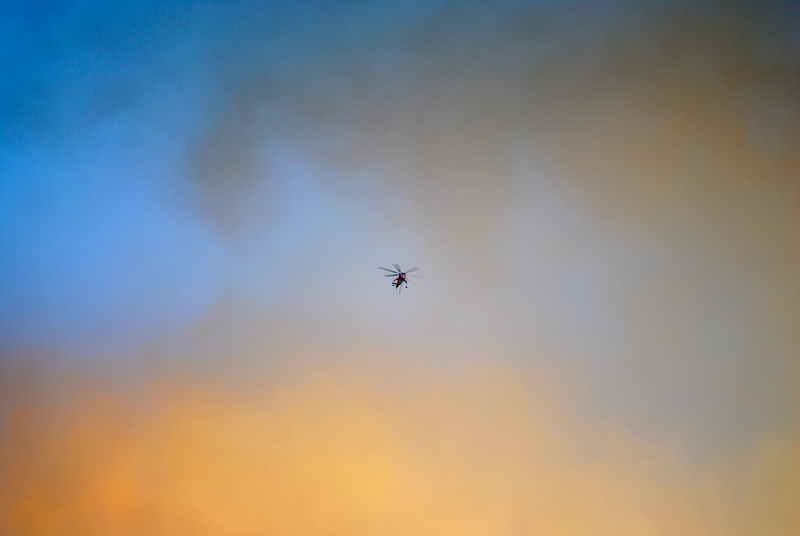 Somehow these pictures make that dreadful wildfire look beautiful. Interesting post and great photos. Wildfires are terrifying! I almost lost my house in the Sierra foothills to a huge wildfire that started from multiple lightning strikes. I still remember the smoke smell and the bravery of the firefighting angels. May all be safe. Wow! I feel for everyone connected with this. I’m in Georgetown, CO and we could smell the smoke here too. My son nad his wfe are in FC. I’ve been keeeping in touch. Thanks for the pictures! Yow!! Reblogged this on Keshiamfowler's Blog. Reblogged this on CIRCLE OF LIGHT * MINISTRIES UNITED. Beauty from the ashes….tragedy but beautiful photos! Attention Danger, mais de bien belles photos. My mother lives in Blackhawk, CO and has been reporting the severity of the fire to me regularly but this first-hand depiction is really frightening. I can’t having to say goodbye to my home like some of these brave people Coloradians have had to do. It is intense to read this post, but I am glad someone is writing about it. 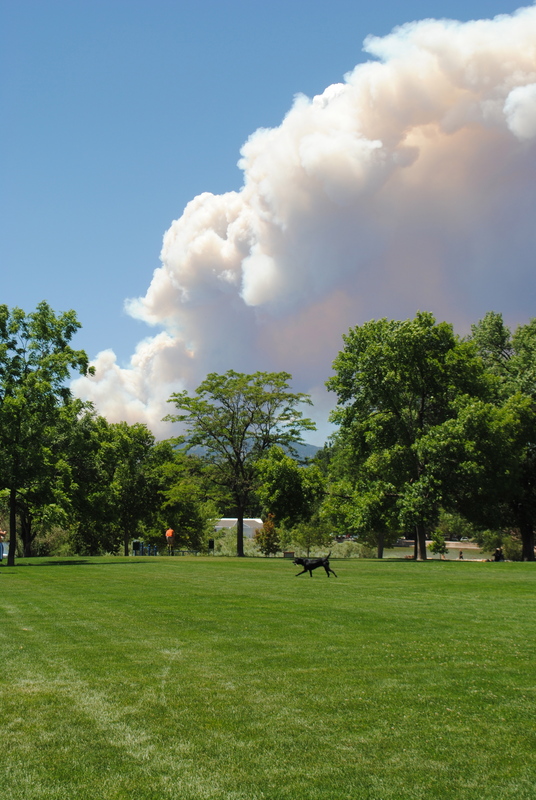 My boyfriend is a fire fighter with the US Forest Service and left last Saturday to Colorado Springs (not sure if it’s the same fire or not), but they were reassigned today – so hopefully that means they are actually getting things “under control”.